Russian Foreign Minister says delivery of Russian surface-to-air missile system to Syria has already begun. 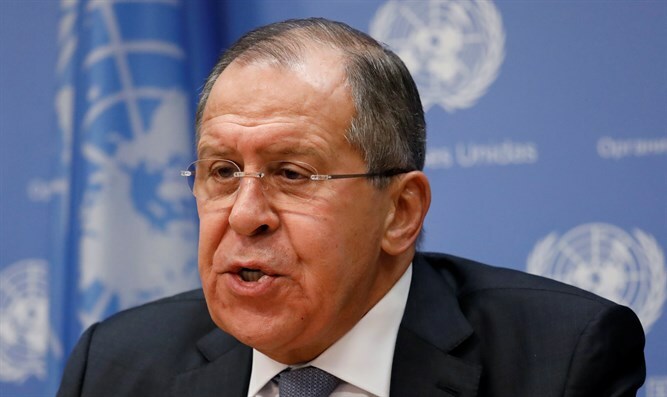 The delivery of the Russian S-300 surface-to-air missile system to Syria has already begun, Russian Foreign Minister Sergei Lavrov said on Friday at a news conference at the United Nations, according to Reuters. Last Tuesday, an IL-20 reconnaissance aircraft was reported missing over Syria, following an Israeli airstrike on a military research facility in northern Syria. An IDF delegation was dispatched to Moscow last week to share information collected by Israel as part of its investigation into the incident. Israel has made repeated efforts to persuade Moscow not to sell the S-300s to Syria, as it fears this would hinder its aerial capabilities against arms shipments to the Hezbollah terrorist group.